I went to Hiroshima Prefecture last Sunday. I started my trip at about 9 AM and took the train with some friends to Saijo, which is east of Hiroshima City. There, we joined the Sake Matsuri, which is a festival celebrating Japanese Sake. I have been to Saijo before and tasted sake, but I have never been to a festival celebrating it. It was a lot of fun, and there were a lot of people there. It was nice to make new friends and try lots of different times of sake. There were over 900 kinds of sake there from all over Japan. I wanted to try all of them, but I was only able to have a few. It was a great time. After the Sake Matsuri I went to a party where I used to live, in Mihara City. Mihara is a small city on the coast of the Japan Inland Sea. 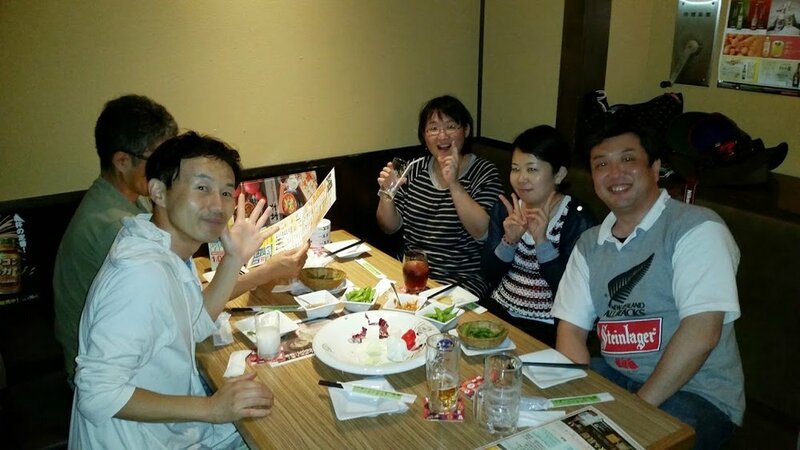 I had dinner and drinks with my friends there, and it was good to see them again after a few months. I’m not sure when I will get a chance to go back there again. I had a great time, and got home at about midnight. It was a long day, and very tiring, but it was a lot of fun!